Complete with protective clamshell case, carrying strap and microfibre cleaning cloth. 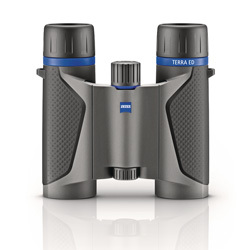 The ZEISS TERRA ED Pocket offers high optical precision and an extra large field of view. With its folding design and minimal weight of only 310g, it's extremely compact. 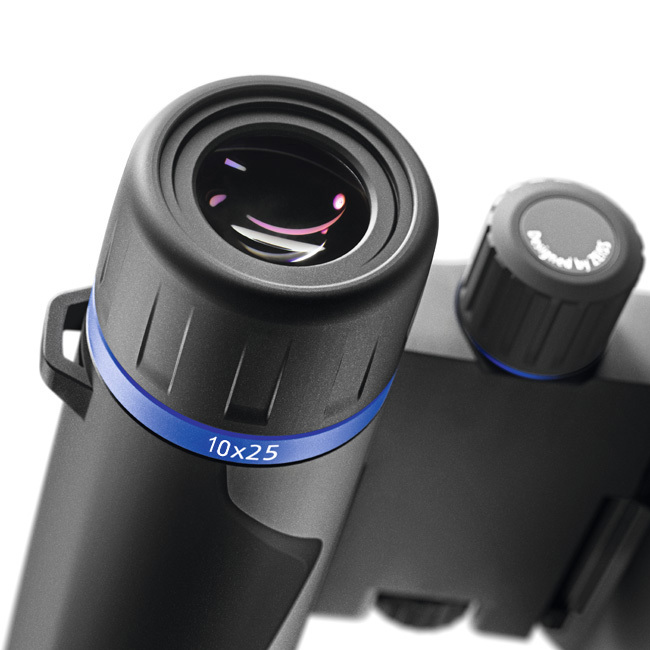 10x magnification offers the viewer extra reach compared to the 8x model but retains the super smooth close focus to under 2m, perfect for watching insects as well as birds. 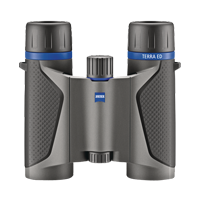 With Zeiss T* multi-layer coating, the Terra ED Pocket produces a bright, high contrast image. Nitrogen gas filling and an extreme operating temperature range, coupled with their diminutive size and weight, make the Terra ED pockets a perfect companion when wanting to travel light.